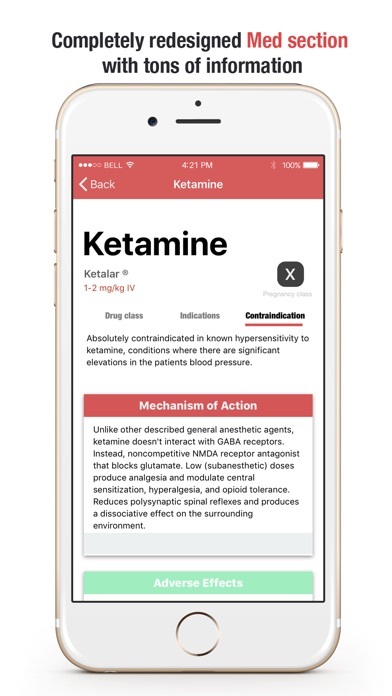 Welcome to the new redesigned Critical- Medical Guide- a comprehensive critical care reference app that aims to assist by providing crucial critical care references & materials to RN's, paramedics, physicians, and other healthcare professionals / students that provide patient care- not only when the situation and details are vital, but also for students and professionals to use as medical reference material whenever needed. ***************************** REVIEWS ***************************** 5 Stars - Consolidated 4 apps I’m currently using into just this 1 app!!! I’ve dug through this app for about a week now... tried to shoot holes in it... can’t find any... very intuitive... super easy to use. 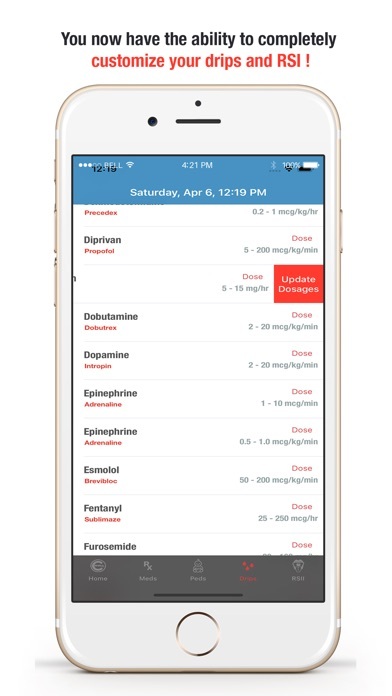 The customizable feature allows me to add my own medication concentrations and reduce errors... TOP MEDICAL APP OF THE YEAR!!!! 5 Stars - This was a great app... since the update, it’s even better. I highly recommend this app for anyone wanting an all-in-one reference that easy to use and chock-full of information. It’s well worth the expense, you will not be disappointed! 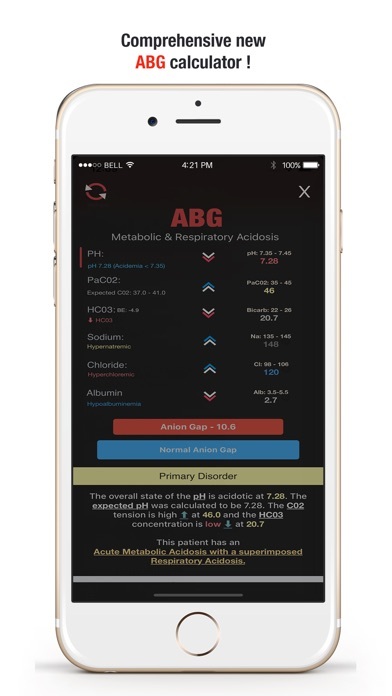 5-Stars - The best professional app ever, organized, covers important aspects of critical care with detailed information! I am so happy that I have it. 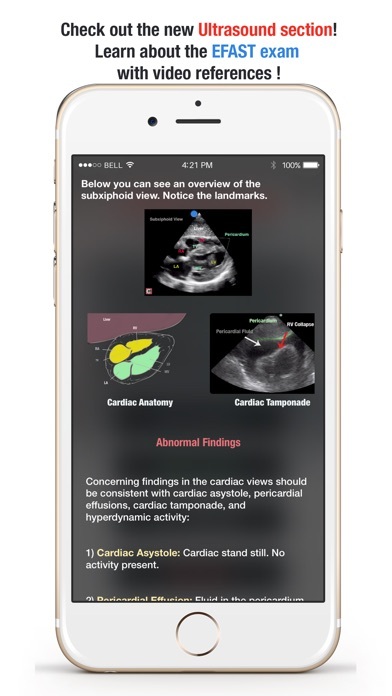 ***************************** Critical Features Include: Images, ultrasound, diagrams, language audio, and interactive videos in high-definition to teach what to look for in real life. Detailed medical guidelines, including: • Ultrasound • Vads • Critical Care & Course of Action • Emergency Medicine • Interactive EKGs • Medical Spanish with Audio • Formulary & Med Interaction • Pediatric Advanced Life Support • Ventilator Management • Special Procedures, such as Ultrasound, CT's and X-rays • Monitoring Information - 12 Lead Electrocardiograms & IABPs • Advanced Cardiac Life Support (ACLS) • Videos & Imagery to Assist in Critical Care, and much more. 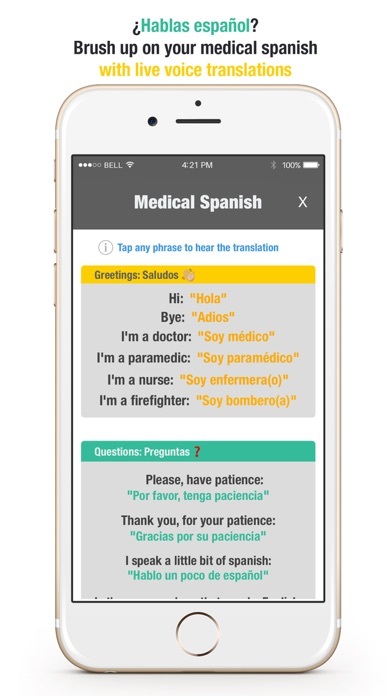 All medical staff, including doctors, nurses, paramedics, EMT's, nursing and medical students and support staff will benefit from having this fundamental guide – while on-the-go or in a medical facility. 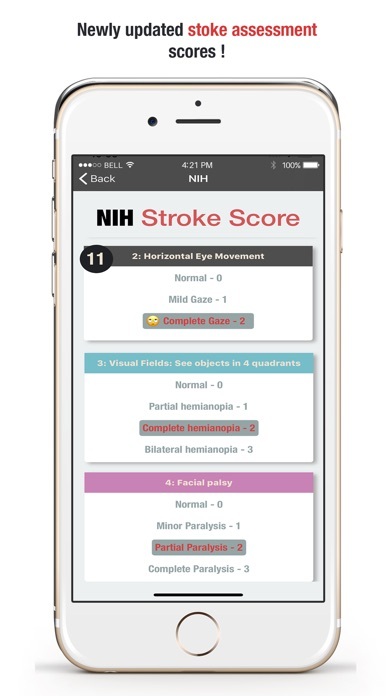 Staff and students in the medical field will also benefit from this app because it will become a Critical tool in their daily practices and studies. Get Critical - A Critical Care, EKG, Drug, ACLS Medical Guide Today! This was a great app... since the update, it’s even better. I highly recommend this app for anyone wanting an all-in-one reference that easy to you and chalk full of information. It’s well worth the expense, you will not be disappointed! Recommend for all CCT providers!! Consolidated 4 apps I’m currently using into just this 1 app!!! I’ve dug through this app for about a week now... tried to shoot holes in it... can’t find any... very intuitive... super easy to use. 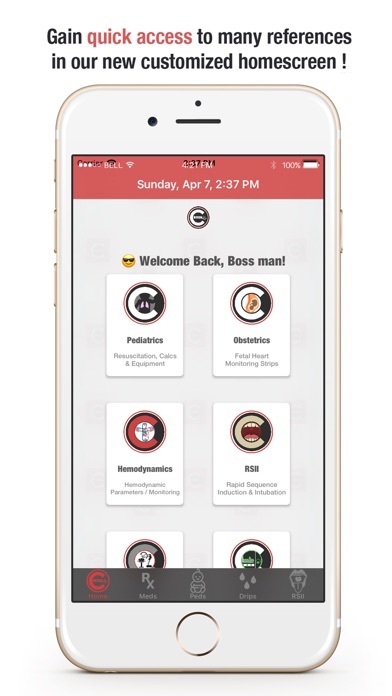 The customizable feature allows me to add my own medication concentrations and reduce errors... TOP MEDICAL APP OF THE YEAR!!!! Much easier to navigate with the new interface’s design. Big improvement. Use this app all the time. Very clean and simple to use. I usually don’t write up a review but I had to for this app. Amazing app! Huge improvement, both with information and aesthetics. Love how the app is laid out, well done team! 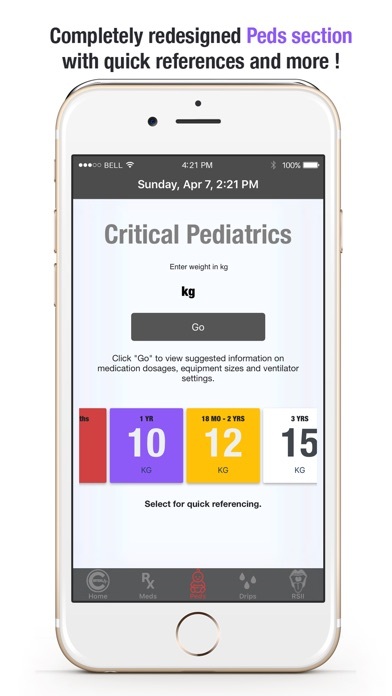 There are many incorrect dose calculations in this app. Regardless of what your program doses may be, many of the built in dose calcs, particularly in pediatrics are not correct. 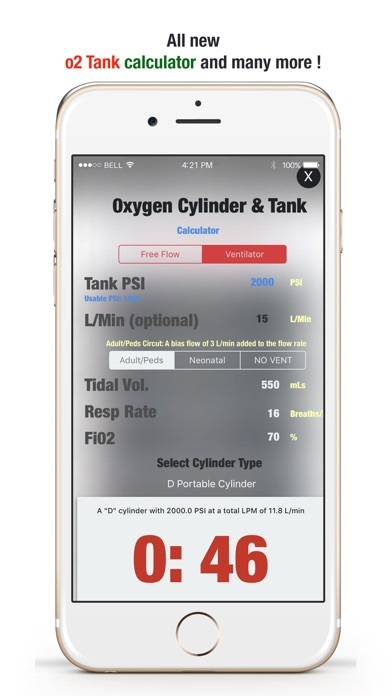 I absolutely love this app and it’s my number one go-to critical care app. Notwithstanding, the update is absolutely clutch!! Can’t wait for the release. Keep up the good work, guys and thank you for all the hard work!